Last year was a world of couch surfing and pow day face shots up and down the Rockies and the West coast for Cartel rider John Rodosky. Chasing the snow and persuing his dream of riding on the Freeride World Tour meant putting school on hold and throwing away the comforts of normal life to ride contests and chase the white stuff. Jackson Hole Snowboarder Magazine published an article by Rodo about his 11/12 season and it’s worth a read if you’ve got the time. Here’s the link to the eMag http://www.jhsnowboarder.com/. View pages 16-17 to read John’s article and 66-67 to see a styled-out Rodo underflip. 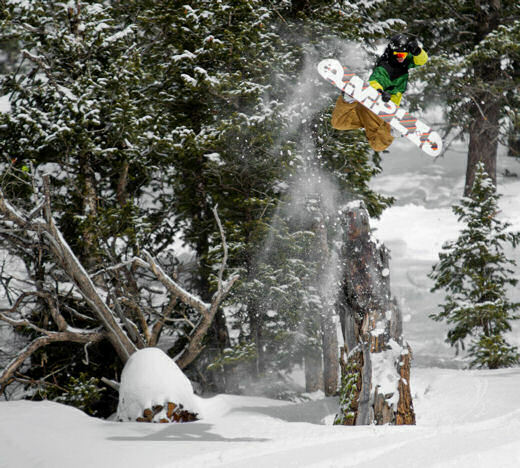 Photo: John Rodosky by Tyler Orton, taken from JH Snowboarder Mag’s facebook page.